TAO Translator uses online translation services to provide translations. * Google Translate - supports translation, transliteration for most non-latin scripts, language detection, and dictionary with reverse translations for single words. * Microsoft Translator (a.k.a. 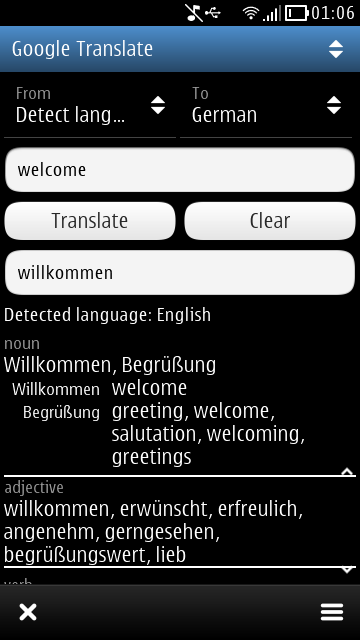 Bing Translator) - supports translation and language detection. * Yandex.Translate - supports translation and language detection. * Yandex.Dictionaries - supports dictionary with transcription for some languages, synonyms, and reverse translations. More services might be added in future.